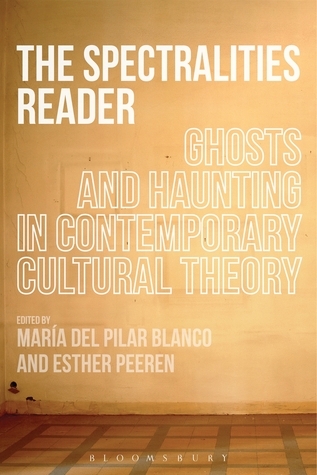 The Spectralities Reader: Ghosts and Haunting in Contemporary Cultural Theory, ed. by Maria Del Pilar Blanco and Esther Peeren, Bloomsbury, 2015. Ghosts, spirits, and specters have played important roles in narratives throughout history and across nations and cultures. A watershed moment for this area of study was the publication of Derrida's Specters of Marx in 1993, marking the inauguration of a "spectral turn" in cultural criticism. Gathering together the most compelling texts of the past twenty years, the editors transform the field of spectral studies with this first ever reader, employing the ghost as an analytical and methodological tool. The Spectralities Reader takes ghosts and haunting on their own terms, as wide-ranging phenomena that are not conscripted to a single aesthetic genre or style. Divided into six thematically discreet sections, the reader covers issues of philosophy, politics, media, spatiality, subject formation (gender, race and sexuality), and historiography. It anthologizes the previously published work of theoretical heavyweights from different disciplinary and cultural backgrounds, such as Jacques Derrida, Gayatri Spivak, and Giorgio Agamben, alongside work by literary and cultural historians such as Jeffrey Sconce and Roger Luckhurst.